Additional Images - Click an image below to see the full-size image. 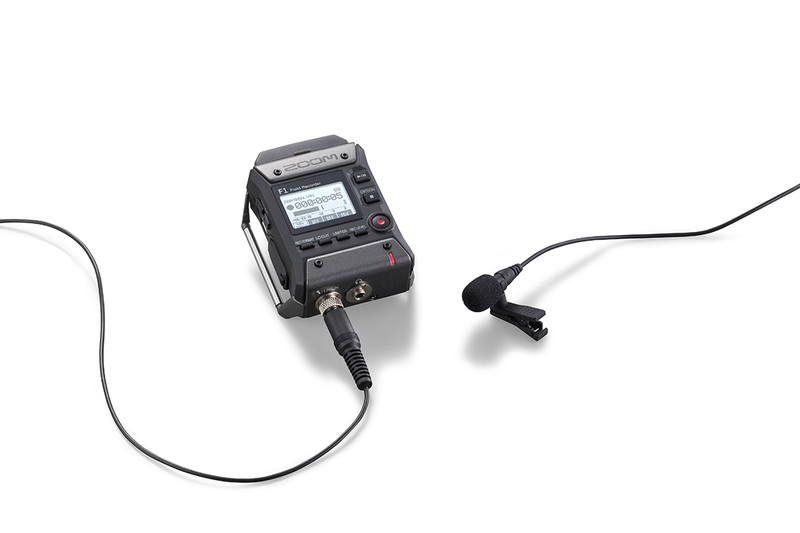 The F1 Field Recorder + Lavalier Mic completes your video’s story by providing outstanding audio no matter where your production takes you. With its minimal profile, the F1 attaches neatly on belts, waistbands, or slipped into a pocket so the recorder can be easily concealed. The Record Hold function or the Hold Switch can be used to prevent your subject from accidentally hitting buttons while recording. An on-board limiter and auto-level control keep your levels safe when spikes in loud volume occurs. The F1 can be powered using two AAA batteries (included) or with the optional AD-17 power adapter. 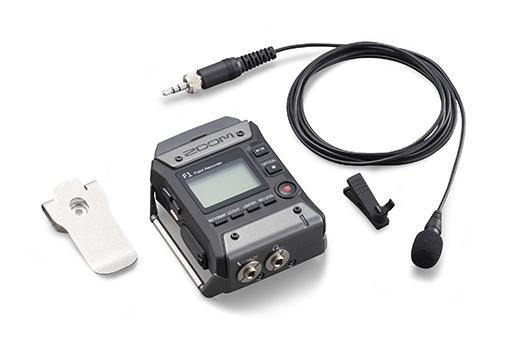 Transfer recordings to your computer in card reader mode or record directly to your computer or iPad using the F1 in USB audio interface mode. The F1 records audio in WAV or MP3 formats. WAV files are automatically time-stamped, making them Broadcast Wave Format (BWF) compliant. 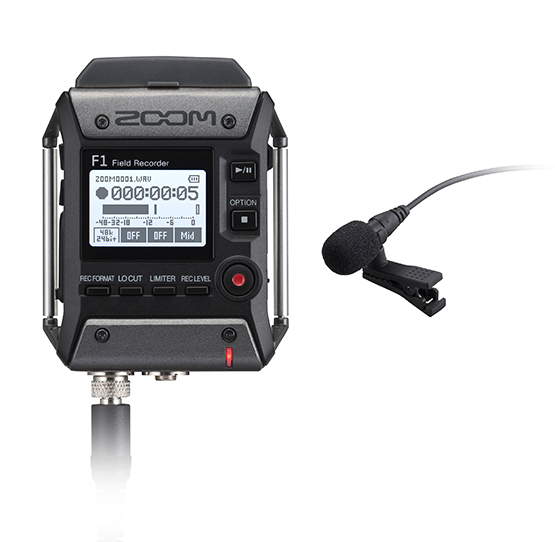 With our proprietary 10-pin connector, the F1 is compatible with all of Zoom’s interchangeable mic capsules, providing more options for recording. SSH-6 Stereo shotgun capsule with directional mic and adjustable side mic. XYH-6 Stereo X/Y Capsule with adjustable capsules. XYH-5 Stereo X/Y capsule with shock-mounted microphones. SGH-6 Mono shotgun capsule with directional pickup.